يقع Emerald Sands Boutique Apartments في منطقة مشهورة للغاية في المدينة. هذا الفندق هو من الخيارات الشائع بين المسافرين. يسهل الوصول إلى هذا الفندق ذو 3 نجوم من المطار، فهو يبعد عنه مسافة 21 km فقط. يوفر العقار بفضل موقعة الجيد وصولاً سهلاً إلى أهم معالم المدينة.
. استمتع بالخدمات الراقية والضيافة التي لا مثيل لها بهذا الفندق في هذه المدينة رائعة الجمال. يقدم العقار واي فاي مجاني في جميع الغرف, خدمة حجز التذاكر, مطبخ, تسجيل وصول/خروج سريع, تخزين الأمتعة لضمان الراحة القصوى لضيوفه. تنعكس أجواء Emerald Sands Boutique Apartments في غرف الضيوف.تلفزيون بشاشة مسطحة, صوفا, إغلاق, كاشف دخان, اتصال لاسلكي بشبكة الإنترنت (مجاني) هي بعض الميزات الموجود في العديد من الغرف. يمكنك طلب اللائحة الكاملة للخدمات في الفندق ومن بينها حمام سباحة خارجي, سبا, حديقة. إن كنت تتطلع إلى إقامة مريحة وهادئة في المدينة، فستجد في Emerald Sands Boutique Apartments بيتك الثاني. يكون مكتب الاستقبال مفتوحًا من الساعة 2 ظهرًا حتى الساعة 6 مساءً. يجب على النزلاء الذين سيصلون في وقتٍ آخر غير الأوقات المذكورة أن يتصلوا بالعقار مباشرةً قبيل وصولهم؛ وذلك حتى يمكن إجراء ترتيبات بديلة. The pros are that you have an apartment for good value. Great for smokers as the rooms have balconies. You can cook your own meals in the kitchen and/or BBQ. You can wash and dry your clothes as room has a European laundry. Pool and spa are nice. The cons are that they're not serviced daily, therefore you need to stock your own food, milk, teas and coffee and wash your towels. They are not modern and neither is the decor but you are provided with the essentials, though they're toaster wasn't working. We had an awesome stay here. We booked a ocean view apartment. Waking up to the view of the beach is stunning, especially since we were lucky and got the 7th floor (the highest floor). The house is clean and stylish. Basic amenities were all there. They even had a washing machine and dishwasher to top it up. The pool however, is small and not suitable for swimming around. Nonetheless, the view and the apartment at a reasonably cheap price more than makes up for it. I would highly recommend this hotel. Apartment is very safe. Equipped with 24hrs CCTV camera. Carpark is at the basement. Enter apartment by using a device tapped to a sensor near the door. Only residents and guests have the access to enter the apartment and using the lift. Room is clean. Surfboard and beach umbrella is available for use. The apartment is clean and comfortable. 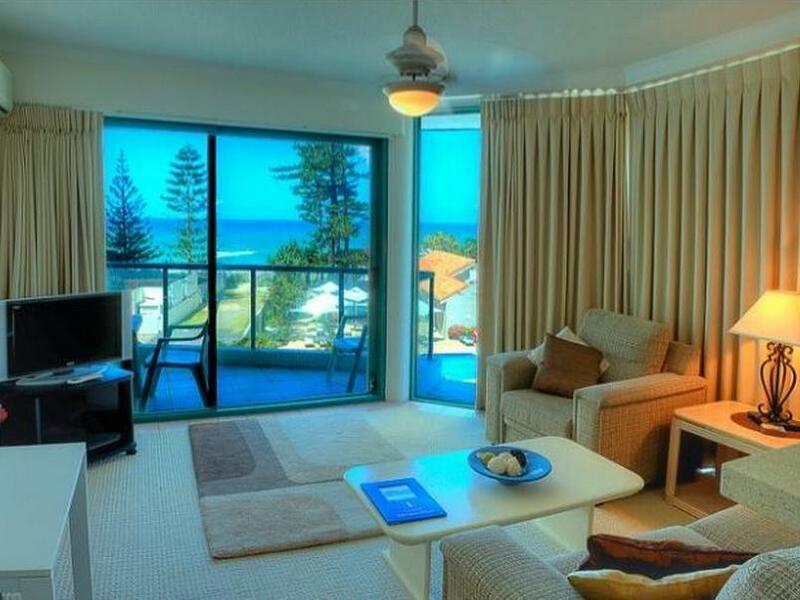 It is beside the beach, although not a walking distance to the actual surfers paradise beach and shopping area. I had a two bedroom apartment. The size of the bedrooms, the living/dining room and kitchenette is just nice. The only thing that I'm not too happy is that there is only 1 shower room. It would have been perfect if the apartment has 2 shower rooms. Was very happy with the clean and comfortable apartment. Location of the apartment to the heart of Surfers Paradise was a mere 15 to 20 minutes leisurely walk away. The guardians of the place, Wayne and Cat, were very helpful and friendly when coming to seeking advise on where and what to do around Gold Coast. Special thanks to the staff Wayne and Cat, always ready to help or provide info. The apartment is well equipped, wifi connectivity and speed is very good, we really enjoyed the stay. We liked the location, just far enough from Surfer's Paradise that is quiet, yet near enough to be convenient, only a few minute's drive. The apartment is right next to the beach, so you can enjoy the view and hear the surf. Stayed in 1 bedroom apartment. There is air conditioner in the living room, washing machine, dryer, microwave, stove, tv has a lot of channels, can choose to watch netflix as well if you have an account. There's a small balcony in the bedroom and a bigger balcony in the living room facing the beach. 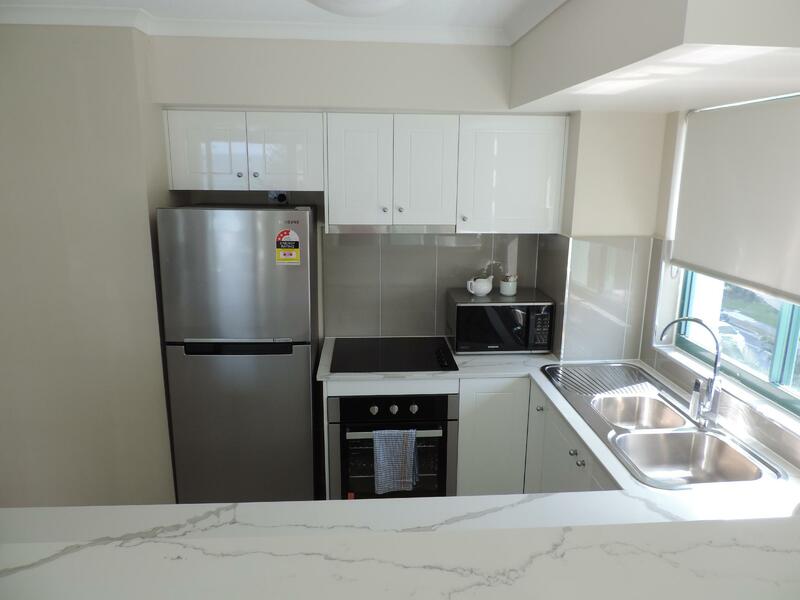 5 mins walk to the beach, 10-15 minutes walk to the heart of surfers paradise. Only bad thing is its a little far from the tram station. So if you have multiple luggages and not coming by uber or airport shuttle, you will have to walk for a bit of distance from the tram station. Definitely recommended as one the best value for money with all the appliances in the room. Very clean spacious one bedroom apartment with kitchen and washer & dryer access to pool and spa. Beach is directly down the path at the front door. Free underground lock up parking for the entire stay, free wifi and Austar channels in rooms which travelling with a small child is always a plus need to keep her happy and entertained when not out and about main boardwalk is approx 15 minute walk which is the only negative but still you can walk along the beach the entire way which was great just if your not a big walker you’ll have to drive 5 minutes and try to find parking. Was a very great experience all up and can not fault them at all it was perfect we even booked an extra night and they were more then happy to move other guests around to accomodate us. We stayed here for 15 nights, half of our entire journey to Australia. This is the place that all of us (my mom, my wife, my kids and of course me) love most. Great location, great staff, quiet place, clean room with all the necessary appliances/equipment, at very reasonable cost. Kids loved to play hide-and-seek game almost every night. We just loved it. 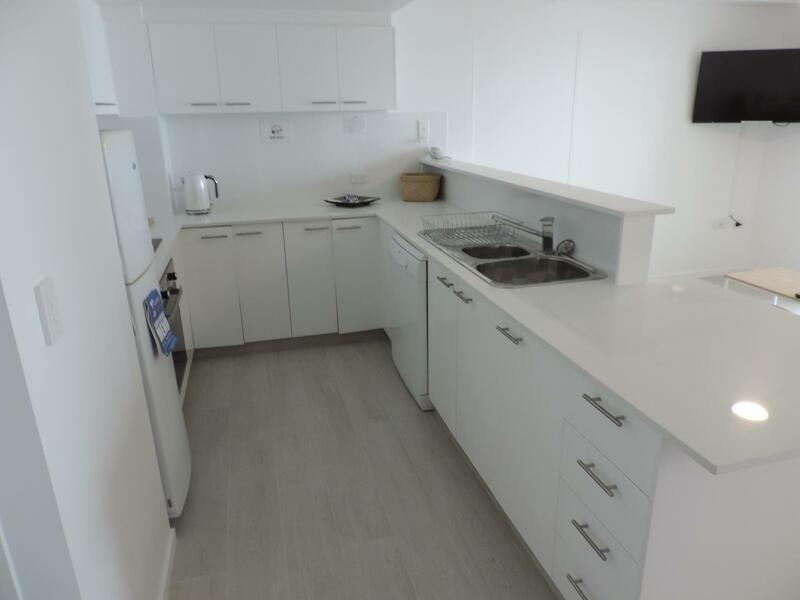 Emerald Sands is a boutique apartment building that is very clean and comfortable with great facilities in each apartment. Our apartment had great views of the ocean and you could feel the refreshing sea breeze. In addition we had a secure undercover car park. The main shopping centre was 15 minutes walk. The managers, Wayne and Cat were very friendly and welcoming , giving any assistance as required. Great apartment for a reasonable price that suited all our needs. Amazing view as its right across from the beach. Only a short drive to Surfers town centre and Pacific mall which is huge. The couple who manage the place are lovely and very accommodating. Would definitely come back again. It was spacious, very clean and full with cooking facilities and complete washing machine! 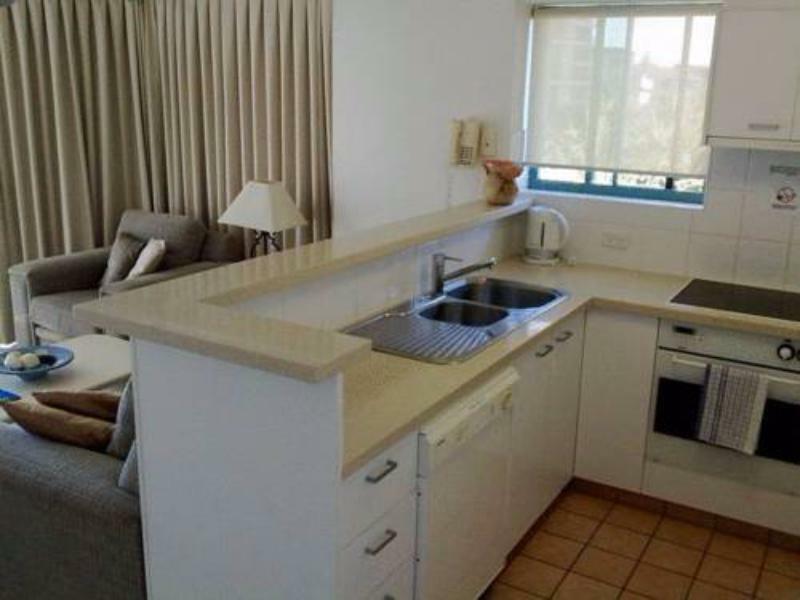 The place is very quiet at the end of Surfer Paradise and walking distance to sandy beach. Would definitely book this place if I go to Gold Coast again. Good value for money deal. Steps away from the beach. Our apartment had all the basic amenities. It's about 1.2 kms from the touristy attractions. However there is a good connectivity with the local tram. Wayne was extremely welcoming and helpful. The apartment we had was a bit small but had everything we needed. The location was excellent with just short walk to beaches, town centre of Surfers Paradise and Broadbeach and many tourist attractions. It was our first holiday visit to Gold Coast and our entire trip was absolutely amazing. My family enjoyed our stay in this apartment. Everything is provided. Wifi, foxtel cable, kitchen equipments and the rooms are big enough for all of us. Wayne was very kind and helpful to us. The beach is just a 5 minute walk and the ocean view from the apartment is really wonderful. I highly recommend this for the entire family. Cleanliness, affordability and accessibility to the beach and restaus are all checked . We'll definitely coming back.